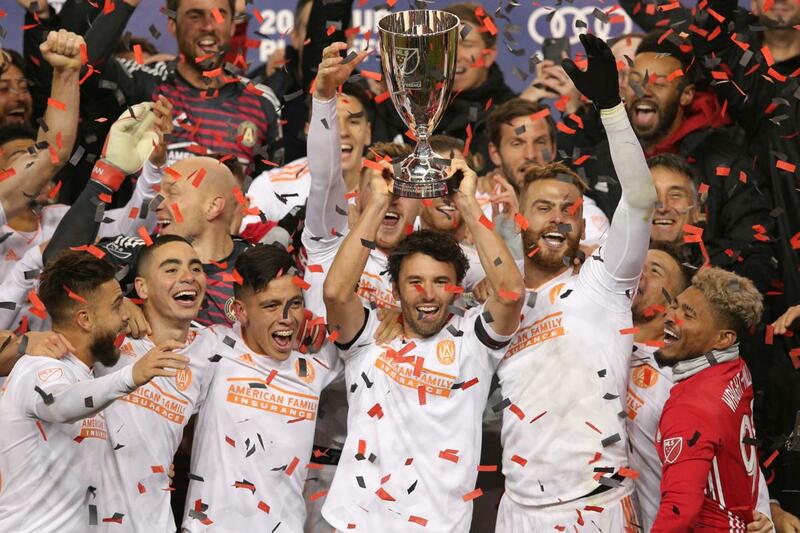 The Portland Timbers and Atlanta United will face off in the 2018 MLS Cup after advancing on Thursday night over the top seeds from their respective conferences. Atlanta will now host Portland in the MLS Cup final on Saturday, Dec. 8, due to having the better regular season record. Atlanta advanced to the final despite losing 1-0 to the New York Red Bulls on Thursday night. Atlanta came into the game with an overwhelming lead on aggregate after a 3-0 victory at home in the first leg of the series, and knew that they only had to keep the match close to hold off New York’s attempted comeback. In the end, the result was never in doubt, as the Red Bulls could not manage to score in the first 90 minutes. Tim Parker scored the lone goal four minutes into stoppage time, at which point it was far too late to mount a further comeback. Atlanta and New York finished the year with the two best records in MLS, with the Red Bulls setting the league record for most points in a season with 71. That led many analysts to call this one of the top playoff matchups in league history. There was more drama in the Western Conference Final, where the Portland Timbers defeated Sporting Kansas City by a 3-2 final to advance to the MLS Cup for the second time in four years. Kansas City took the early lead after a Daniel Salloi goal in the 20th minute, but Portland fought back in the second half, with goals by Sebastian Blanco and Diego Valeri giving the Timbers a 2-1 lead – a significant advantage, as Portland also had the away goals edge after a scoreless draw in the first leg. Gerso Fernandes scored an unassisted goal following a scramble on the goal line to pull Kansas City level again in the 81st minute. But the away goals tiebreaker meant that the hosts still needed another goal to advance. A breakaway goal by Valeri nine minutes into stoppage time gave the midfielder a double and took away any chance of a Kansas City miracle. Atlanta finished the regular season with 69 points – second only to the Red Bulls – while Portland was fifth in the Western Conference with 54 points. That, along with home field advantage, has made Atlanta United (4/7) a significant favorite heading into the MLS Cup, with Irish bookmaker Paddy Power making the Timbers a 4/1 underdog to win the match outright.